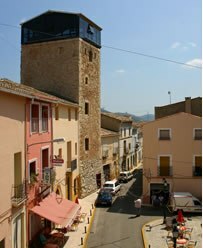 Alcalali (Alcanali, Valencian name) is a town of the Valencian Community, Spain. 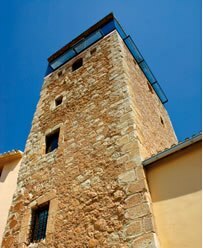 Located in the northeast of the province of Alicante, in the region of Marina Alta, and in the Pop's Valley, with approximately 1500 inhabitants. 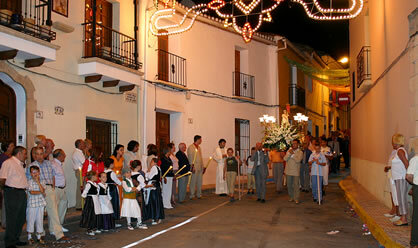 Alcalali is located in the Pop's Valley of, between the Ferrer's Mountain and Mountains de Seguili. 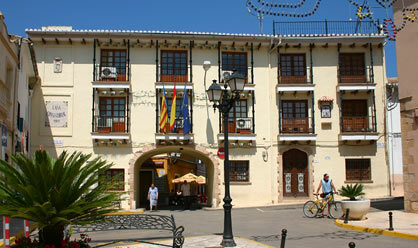 It is possible to be acceded leaving highway AP-7 in Benissa, crossing Jalón/Xaló, or in Ondara, crossing Pedreguer. Their borders are: to the north, Pedreguer and Benidoleig; to the east, Jalón and Llíber; to the west, Orba, Murla and Parcent and Castell de Castells; and to the south, Tárbena.